Vegan ice cream may sound like a paradox to some, but to me it sounds like one of the most delicious inventions in the history of vegan food. 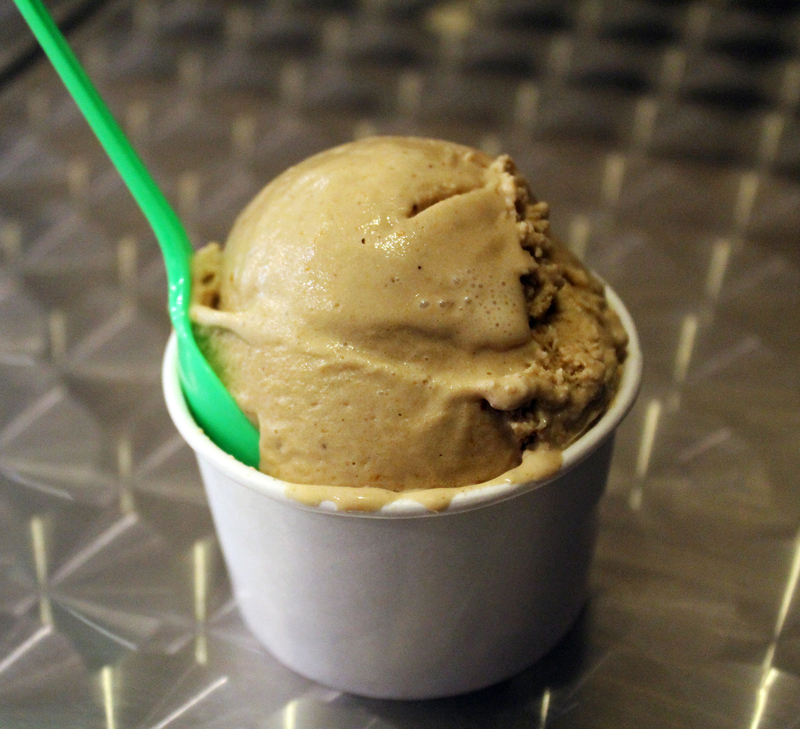 While I technically have not been around long enough to justify that statement, I do know that FoMu Ice Cream on Cambridge Street in Allston is the best ice cream I have ever tasted. Wait, isn’t cream an essential ingredient? It is called ice cream after all. Well, there is still cream involved, it’s just not the kind that comes from animals. Owners Hin and Deena Tang make their signature ice creams with a coconut cream base, organic agave and non-refined sugar, which means they are not only vegan, but they are healthier as well (thought I wouldn’t suggest eating FoMu for every meal). 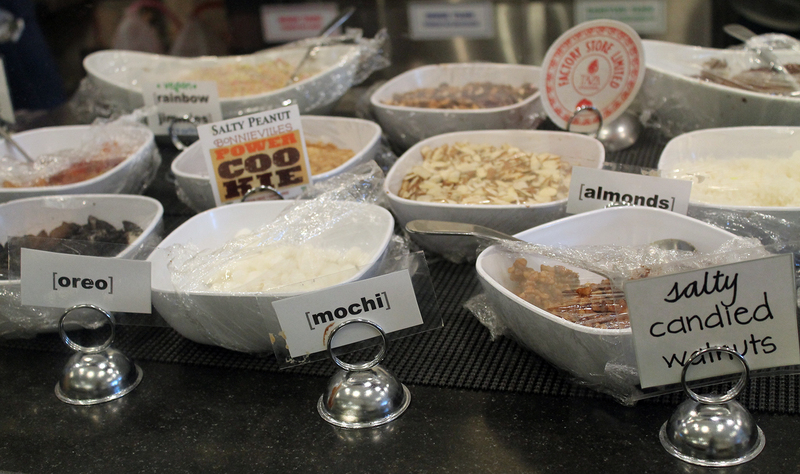 The Tangs began in the ice cream distribution business, selling their original flavors to restaurants in Boston and Cambridge, many of which were vegan and vegetarian establishments. That, along with the fact that many of their friends were having babies, some of which had lactose intolerance, brought the Tangs to their current venture: FoMu. FoMu, which opened on May 30th, boasts original vegan recipes that veggies and carnivores alike can enjoy. After both failures and successes, trial and error and lots of wasted ice cream, Hin Tang says they have created flavors that all ice cream lovers and foodies can enjoy. One such example is the Dark and Stormy, which I can verify tastes exactly like Bermuda’s official drink. Some of the other exotic flavors are Bananas Foster, Avocado and Spiced Carrot Cake. Four of their newest flavors are Rugged Raw Bar, full of chia and flax seeds, almonds, cocoa nibs, dates, figs and sweetened with agave, “Fo Honey” Lavender, with a surprisingly gentle lavender aftertaste, Pumpkin Stout, perfect for the fall and Taza Rocky Road, made with the Somerville chocolate company’s chocolate, hazelnuts and cashews, cocoa nibs and ricemellow (vegan marshmallow) with a chocolate base. “I love ice cream and while I try not to eat it too often, sometimes I wake up in the morning and want some. It feels like breakfast because it has so many breakfast goodies,” Tang said of his current favorite, Rugged Raw Bar. 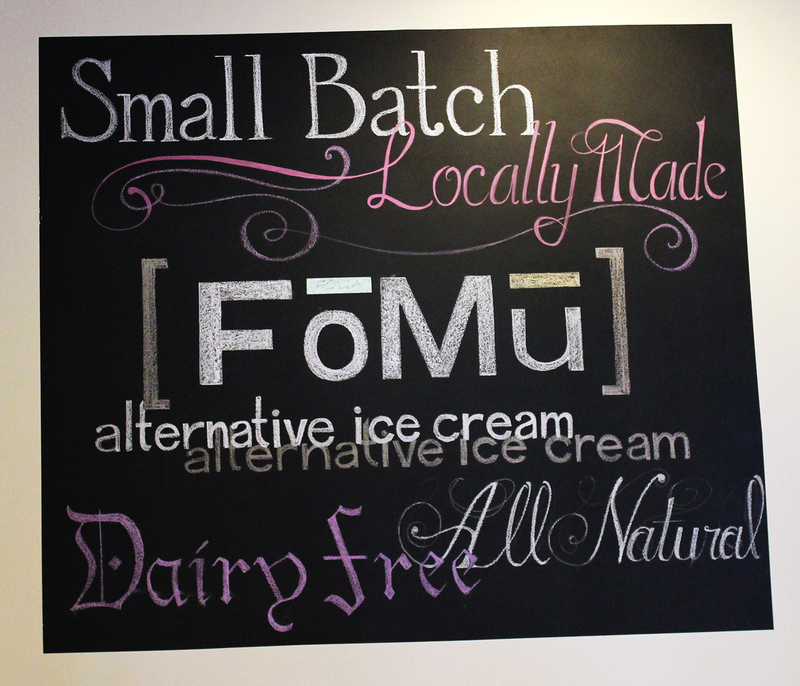 Not only does FoMu have new signature flavors, it also offers soft-serve ice cream. With the option of peanut butter, chocolate or a twist of the two, the soft-serve machine is usually reserved for weekends only. “It’s harder because it has a smaller following,” Tang said. “It does not move as fast. On the weekend, we can make it a good quality versus it just sitting there.” He added that they threw a lot of it away in the beginning, something that was common for all the flavors as they tested them out. “We just get ice cream enthusiasts and foodies. It has nothing to do with being vegan. It’s ice cream for everyone,” Tang said, adding that their customers are still growing, something that was apparent on a recent Sunday night. After we began began the interview, Tang excused himself to help the long line that had grown in his five-minute absence. Even with a coworker helping, it took a good twenty minutes for the customers to die down. While I waited, I sampled all four of the new flavors, wishing I had the stomach to order all four. I decided to go with the Pumpkin Stout since I was in a seasonal mood. From the first bite, I could taste the Thanksgiving pumpkin pies in the oven and hear the orange autumn leaves as they fell to the ground in the cool wind. In other words, it was the best pumpkin ice cream I have ever tasted. The slightly bitter aftertaste of the locally brewed beer deepened the rich pumpkin flavor, which stayed with me long after I licked my bowl clean.